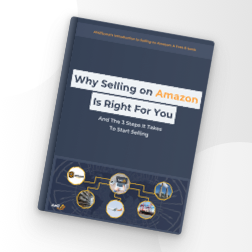 Selling on Amazon often means giving your brand and store rights to Amazon, which limits what you can do and how you can interact with your customers. Most importantly, it limits the number of emails you can send to customers, which leads many sellers to avoid email altogether. However, email remains a valuable e-commerce tool and it will help you to boost your Amazon sales. Learning how to use email effectively and within Amazon terms of service will give you the tools to build an email list, drive sales based on promotions, and work to increase repeat customers. However, it’s crucial that you do so inside of Amazon’s terms of service and without spamming your customer. What Are Amazon’s Email Guidelines? If you’re contacting a buyer through Amazon, you can only do so as is necessary to complete an order or to respond to a customer service inquirer. Amazon doesn’t allow you to contact customers for marketing or promotion, via email, physical mail, phone, or otherwise. This means no links to your website, logos with your website URL, marketing or promotional messaging, or promotions for additional products to third-party sales. You can read more on Amazon’s email guidelines here. In short, Amazon does its best to keep your Amazon buyers on Amazon, as though Amazon were the seller and not you. The only time you can typically communicate your brand to the buyer is in the single packing insert, which typically includes a thank you message and possibly a request for review or a link for a promotion. It’s important not to violate these guidelines, simply because you could lose your Amazon account over ignoring them. Anyone who receives emails from your brand has to ask for them, and you have to drive interest through a single and fairly limited touchpoint – a packaging insert. Many sellers use incentivization programs to prompt opt-ins, such as discounts, coupon codes, and other offerings (valid on Amazon). You can also set up your own website and rely on customers liking your product and finding your website through your branded product. Most people make one of two mistakes with email marketing, they either overdo it and send a non-stop stream of generally worthless emails, leading to low click-through rates and high unsubscribes or barely use it at all, sending highly inconsistent emails and therefore decreasing interest. A good email strategy will help you to balance timing, value, and content, so that consumers get something of value for being part of your email marketing list. -Most people get way too many promotional emails and emails in general. Product promotion is almost never wanted. Think about emails you subscribe to. Which do you look forward to? Which do you read? Which do you even bother to read before deleting? Your customers will go through the same process. – How can you drive value for your product? How-to emails, information, and tips are all great ways to drive engagement and build familiarity. For example, if you sell a coffee maker, you can create a series on making excellent coffee with it. Investing in an email series and perhaps an accompanying video series will give you an easy way to build rapport and familiarity with customers. You can build similar educational email drips across many niches for all your product categories. However, this does require defining what the value is for you. If you’re unable to connect to the consumer to drive potential sales through email, it’s not worth it for you. – Saving money is usually a prime incentive to sign up for an email newsletter. You should start off with it with a coupon code or discount for buyers who sign up. Once you’ve established a relationship, you can follow up with occasional sales or discounts just for email subscribers. For example, if you use email automation with segmented lists and you sell coffee machines and supplies, it would be relatively simple to offer a coupon code for a discount on coffee filters and coffee machine water filters every three months – giving customers incentive to buy something they actually need from you. There are plenty of tools offering email marketing automation, and some of them actually focus on Amazon and e-commerce. MailChimp is still the largest and most common of these, and it often starts out free. Most importantly, with automation to support email sign ups, group segmentation, and campaign management, MailChimp has a lot to offer for e-commerce sellers. No matter which mail management system you choose, it will allow you to set up email drips or campaigns based on specific triggers so that customers receive prepared and helpful information from you with no intervention on your part. For example, you can set up order confirmations, special promotions, giveaways, contests, and much more. 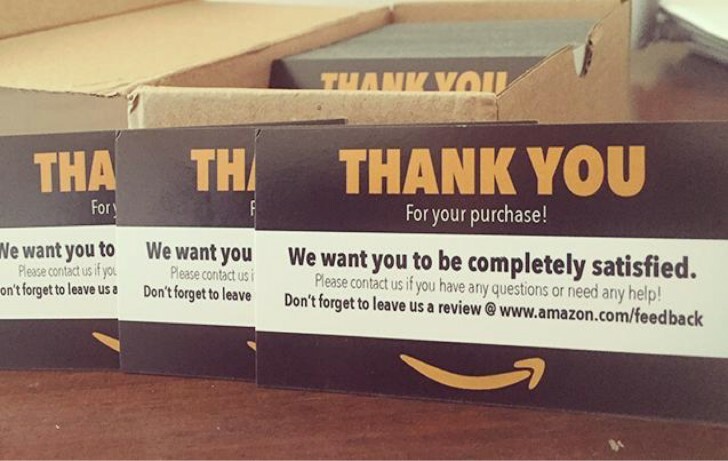 Let’s say you include a card in an Amazon box with a thank you message and an offer of a 10% discount plus a “how to use” email series for your product. The customer signs up, automatically starting a campaign, which begins with an introductory welcome email with a coupon code. Over the next week, they receive the “how to” information they asked for. Following that, you could ask if they left a review or if they want to. At this point, you’ve built up some trust with the customer and hopefully offered them real value in exchange for the space in their inbox. You can follow up by asking if they want to continue to receive promotions and helpful information, all without ever manually sending an email. Most email automation tools also include marketing performance with open rates, click-through rates, location, and other metrics. 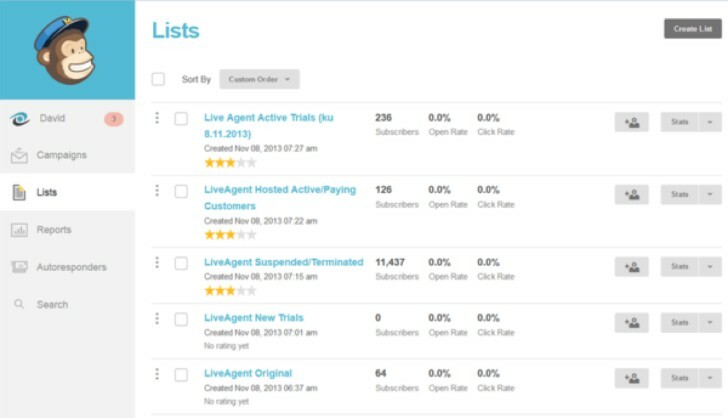 - Make use of segmenting to personalize emails based on signup reason, originally purchased product/category, etc. Amazon allows you to segment based on the SKU or child ASIN the buyer originally purchased and you can move this over to your own campaigns. - Test email frequency. Splitting customer segments and sending emails at different frequencies can help you to determine what results in the highest engagement rate. Getting customers to sign up for a newsletter can be tough but keeping them interested and engaged over the long-term is even harder. You need a strategy, segmentation to ensure that every email remains relevant, and a lot of value you can offer to keep customers coming back. Once you do, you can build brand trust, keep your products at the top of customer’s minds, and encourage repeat sales. Automation allows you to simplify this process by creating campaigns that do most of the heavy lifting for you, so that you can offer continuous value while occasionally filling in with sales and promotions. Over time, email can result in a large percentage of return customers, simply because you establish relationships and add value for your customer. This is a guest post written by Skubana. 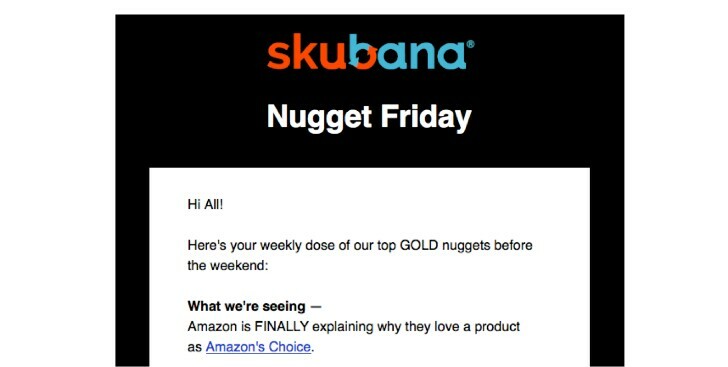 Skubana is an omnichannel solution for online merchants who are looking to unify and automate everything from inventory, order management, order fulfillment, purchase order management and analytics after the checkout.